The SS United States remains the only American ocean liner still afloat, and still holds the transatlantic speed record. Since Lenfest’s transformative donation in 2011, the Conservancy has built a community of supporters from across the nation and around the world and is working to advance a long-term redevelopment plan to save the historic vessel for future generations. 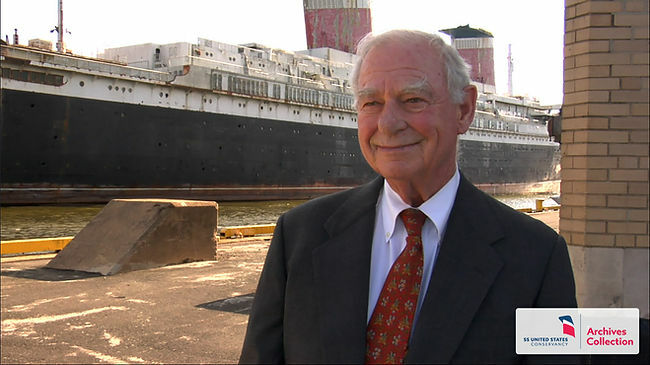 Philadelphia philanthropist H.F. “Gerry” Lenfest with America’s Flagship, the SS United States. 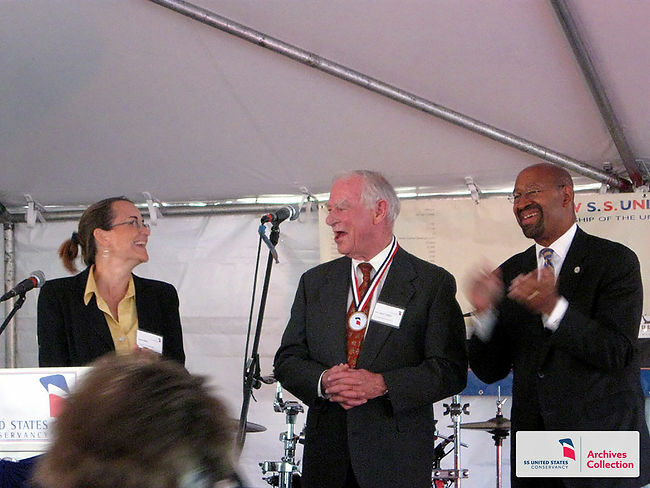 Lenfest is awarded the Conservancy’s National Flagship Champion medal in 2010 following his pledge of $5.8 million for the purchase of the vessel. Photograph courtesy of Josimar de Souza. The Conservancy offers our heartfelt condolences to all of Gerry’s family and friends, and extends our deepest gratitude for his crucial role in securing a future for America’s Flagship, the SS United States. Moving tributes to Lenfest and his remarkable philanthropic work can be found in the New York Times and Washington Post. Help us honor H.F. “Gerry” Lenfest’s extraordinary vision for the SS United States. Together, we can ensure a brilliant second act for this global ambassador and all-American record-breaker. Make your donation today, and join the fight to save the fastest and greatest ocean liner the world has ever known.